As many are already aware of, the China-led Belt and Road Initiative to interconnect the Eurasian Economy with Africa, Latin America, Southeast Asia and the rest of the world has been gaining a lot of traction since its formal announcement in 2013 by Xi Jinping. This earned a lot of global influence in the region for China. The losing side, however, is not watching idly by as it loses large chucks of its empire, one by one. This is in addition to its collapsing control of the global financial system that has been stripped away systematically with the elaborate exposure of the Libor interest rates rigging, gold and silver price rigging, and multi-trillion money laundering schemes involving mafia money and sovereign wealth of Asian kingdoms. Add to that is the ineffective mass media anti-Russia narrative that is also designed to undermine the Trump administration that is seeking transactional peace accords abroad. With all of the above, the CIA has openly considered that it is China which is the most dangerous enemy to the Deep State’s wellbeing. But what could they do at the time when they could not pay their mercenaries anymore? Release the Ebola bioweapon, one more time. A quick response task force is now in operation. China’s re-entrance in the Democratic of Republic of Congo (DRC) has been one of superlatives. It has astounded international public opinion by announcing unprecedented investments in the country’s mining sector. Chinese imports from Congo expanded from merely US$1 million in 2000 to US$1.6 billion in 2008, making it the DRC’s largest export market. International officials have been even more surprised by the rapidity with which Beijing has befriended the ruling Congolese political elite. However, Beijing has also unleashed a military charm offensive to protect its newly gained assets. The creeping militarization of the Sino-Congolese relations and the lack of transparency will not only undermine stability in the heart of Africa, but will also cause distrust among Africa’s other partners. … On November 21, 2009, the Congolese national television reported that the Chinese Ambassador and the Congolese Minister of Defense had signed a new agreement for the supply of military equipment. This deal was passed only one month after the Chinese Defense Minister invited his homologue Charles Mwando Simba for a tour in China, where Simba visited several PLA units, Congolese students at the Defense University, as well as companies like Xinxing, Catic, Norinco and ZTE. At the end of the journey, China announced that it would grant a new package of 1.5 million USD in military aid to Congo. … Time is running out for China to show what its true intentions are. Promoting peace and stability in the region requires a concerted approach between all stakeholders. Surely, it is hard to criticize the People’s Republic for trying to secure its economic interests, when all other major powers maintain robust military presence in Africa. But if China follows in the footsteps of countries like France and the United States without communicating its intentions and objectives, it risks sliding back into a downward spiral of distrust and great power rivalry. Such scenario would not only be disastrous for Africa, but also for China’s long-term presence. Beijing should therefore not try to downplay its security interests, cover up its expanding military relations or hide behind the anti-Western sentiment of some of its African friends. Rather, China should realize that it is in its own interest to start communicating about its interests and objectives with other stakeholders. In short, the Deep State wants to retain its share of the bounty that is Africa. But isn’t that they’ve been plundering the wealth of Africa for the last 500 years, or far longer, which made the West for what it is now? Whoever said that China is not transparent of its intentions everywhere? The Chinese build road and bridges, and connects all borders with high speed railway system, in exchange for mineral resources that are to be used in the production of affordable electronic gadgets through its massive, low cost labor force, that the West has greatly benefited from in the last 3 decades. To put it simply, it is China that is walking its talk. The Chinese proposal of a win-win collaboration under the massive economic program to revive the ancient Silk Road now known as the Belt and Road Initiative is clear enough for those who have embraced and are now benefiting hugely from the program. Who wants to complain about all of that? In contrast, it is the Western Deep State’s endless wars that were never clear as to what its ultimate intentions really were. This year, the Chinese UN authorized military contingent would be assisting in the peaceful democratic exercise that should lead to the rise of more popular leaders in the DRC. UNITED NATIONS, April 10 (Xinhua) — The United Nations said Tuesday that the successful elections in the Democratic Republic of the Congo (DRC) was crucial to peace and stability in the wider Great Lakes region of Central Africa. Credible and inclusive elections in the DRC, followed by a peaceful transfer of power, would have a positive effect on peace, stability and development in the wider Great Lakes region of Central Africa, speakers said as the Security Council debated regional developments that also included humanitarian concerns and the activities of armed groups. Said Djinnit, special envoy of the UN Secretary-General for the Great Lakes Region, urged the Council “to remain united” in its support for the implementation of the Dec. 31, 2016 political agreement among Congolese political leaders under which elections would be held on Dec. 23, 2018 for a successor to President Joseph Kabila. In deep contrast to the Western nations’ grossly one sided exploitation of African resources, China’s engagement involves infrastructure development that is being paid with mineral resources that are still available in the area. To sweeten the deal, China even offered to build the new Congo Parliament building for free. The US has been actively disrupting these gamechanging developments in the region. The recent Ebola bioweapon attack is just a small part of a bigger plot. … as much as its Deep Swamp Washington DC is also being threatened. The Deep State may attempt to initiate another Ebola outbreak, but they can’t inflict as much pain and destruction like in the time of Obama anymore. 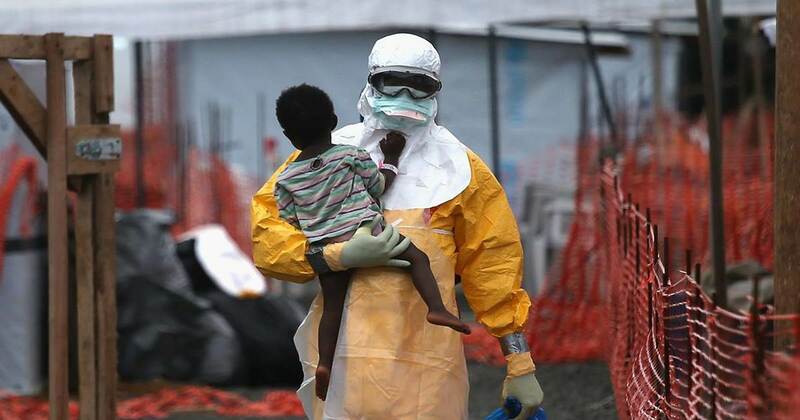 An Ebola outbreak that erupted 8 May in a remote region of the Democratic Republic of the Congo (DRC) and then threatened to explode in a highly populated city appears to have been quelled. On 12 June, the last known person infected with the deadly hemorrhagic fever had recovered, twice testing negative for the virus. That started the 42-day clock for an official declaration, expected on 24 July, that the outbreak is over. The quick end to this outbreak—after 53 cases in Équateur province, 29 of which were fatal—is a striking contrast to the Ebola epidemic that devastated West Africa from 2014 to 2016, which sickened more than 28,000 people, killing 11,310. “I certainly haven’t seen an Ebola-response time frame that looks this compressed,” says epidemiologist Peter Salama, who heads the Health Emergencies Programme at the World Health Organization (WHO) in Geneva, Switzerland, and led the agency’s DRC response. Much of the credit goes to unusually rapid and vigorous surveillance, contact tracing, containment, and public education efforts by the DRC, WHO, and other international partners, Salama says. “Some of the most important lessons from the West African epidemic were truly learned.” But a new factor played an unknown, and perhaps important, role: an experimental vaccine, used for the first time early in an outbreak. Yep, they are still using the obsolete vaccine modality that is far from being reliable. Not to mention that it could also be the source of a new Ebola virus outbreak itself, like what happened in the recent past. Nevertheless, it’s still a puzzle why would the authorities continue to not use the more decisive solution to all viral pandemic like our newly released Virutron Antiviral System.